Gibson and CJ could not have picked a more perfect day for their wedding. The leaves were at their peak, the temperature was a pleasant 70 degrees...it was fantastic. 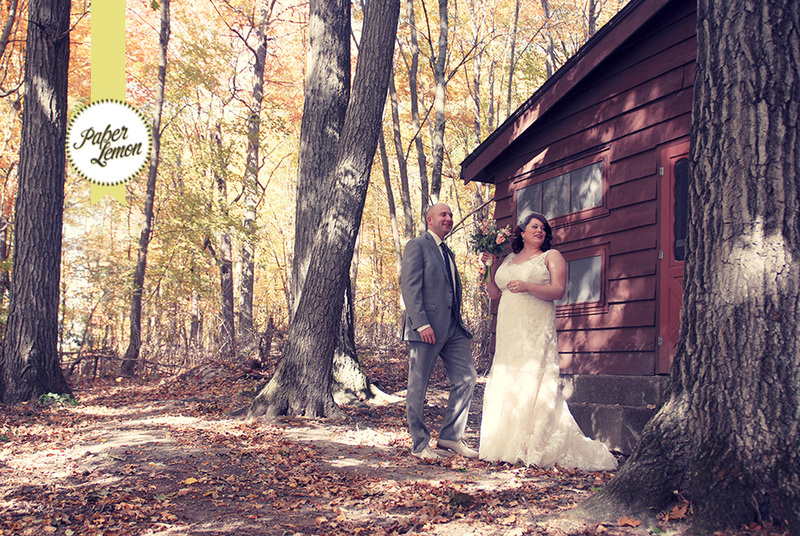 The wedding took place at beautiful Camp Ichagawon near Amery, Wisconsin - what a beautiful backdrop for the big day. Gibson and I met waaaaaaay back when we were camp couselors together at Lake Wapogasset Lutheran Bible Camp (just down the road from the wedding site). Eventually, we became roommates for about 3 years, so Gibson most likely knows more about me than I care to admit. 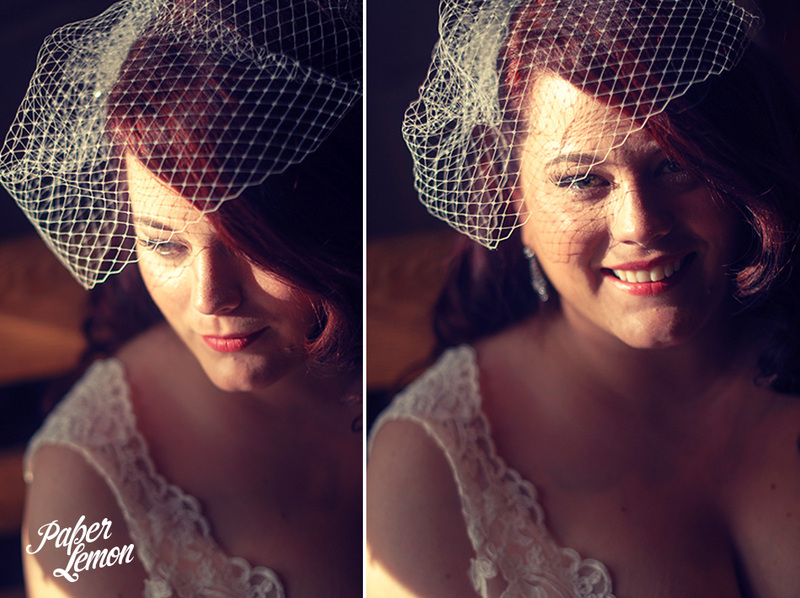 In any case, Gibson has been a good friend of mine for many years and I was thrilled to be there to capture photos of her wedding. 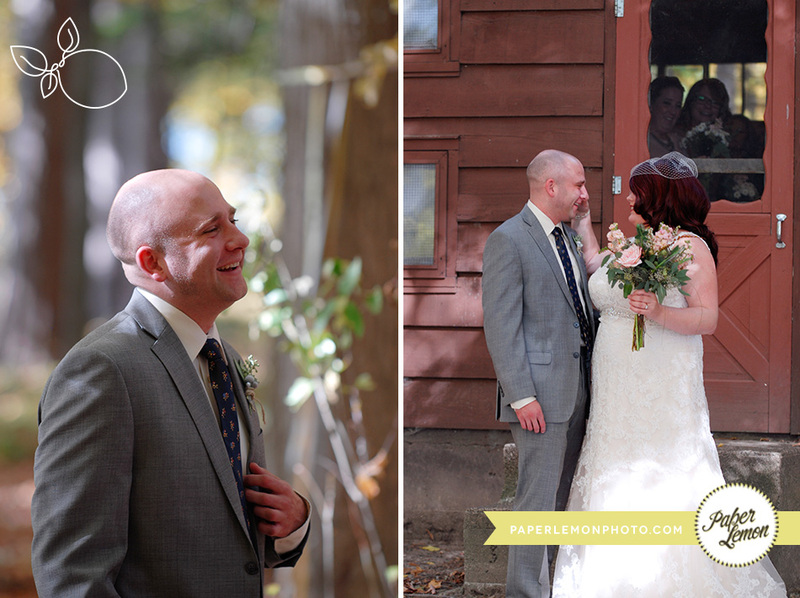 Gibson and CJ's eclectic vintage-y style was apparent in all of the details of the day. (Pretty much, everywhere you looked, there was some sort of cool, creative, artsy detail to see.) 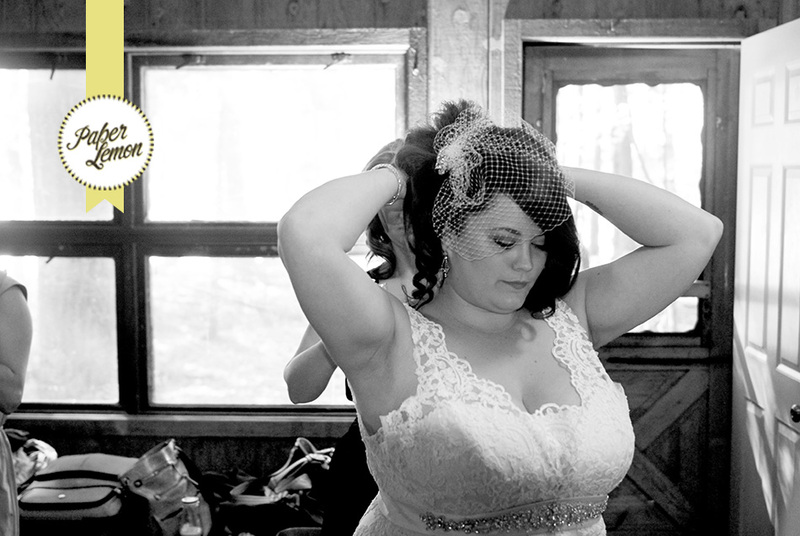 As a result theirs may win a prize for the longest wedding blog post of pictures in the history of wedding photography...Enjoy! And, congrats once again, Gibson and CJ! I hope your first few weeks of married life has been great. I'm still trying to figure out what in the world was so funny here, but don't these people look like fun? Gibson's entire family accompanied her down the aisle...so sweet. During the ceremony, a ribbon started in the back row of guests and wound it's way to the front. Gibson and CJ's rings were passed from guest to guest along the ribbon to symbolize the importance of each person in the lives of the couple. Cool, huh?